31101 entered preservation in 1994 in this variation of rail blue livery, a livery which it has since reacquired after a period in BR green. 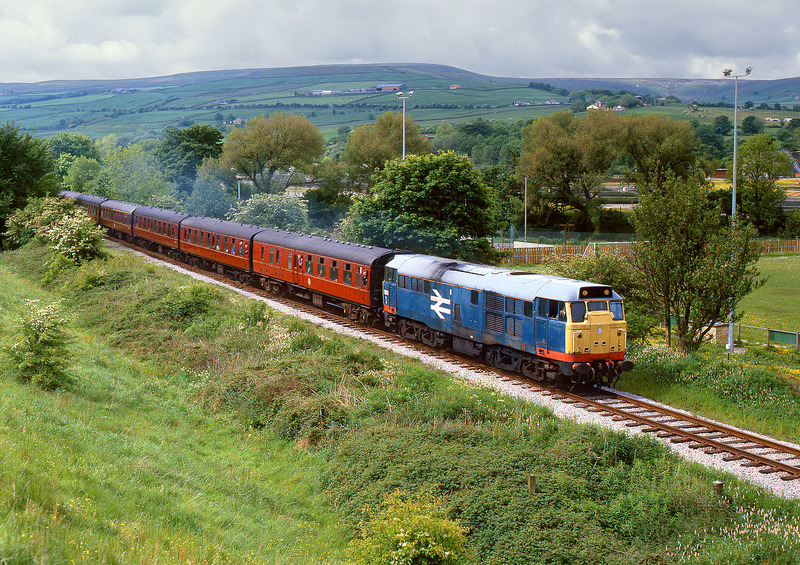 It is pictured here approaching Ewood Bridge on the East Lancashire Railway with the 10:00 Bury to Rawtenstall service on 10 June 1994, during the line's Diesel Gala. The loco originally entered service in October 1958 as D5518.